It looks like the GTX 1060 won’t be the only Pascal graphics card receiving a GDDR5X facelift before the year is up. A GTX 1070 GDDR5X AMP Extreme graphics card has reportedly been spotted on the Zotac website brandishing the more capable memory standard instead of its usual 8GB of GDDR5. 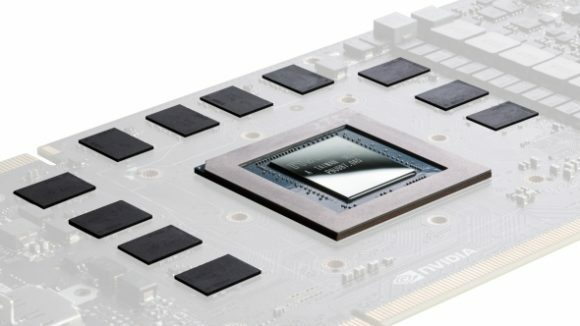 Nvidia’s graphics card partners have already rolled out GDDR5X versions of the green team’s mainstream GPU. But now it seems content on ramping up the memory specification of its entry-level high-end card. Developed over at Micron and originally used on the GTX 1080 / Ti, GDDR5X offers a half-generation bump to the specs of GDDR5 – originally running at 10Gbps / 11Gbps in the Pascal lineup. 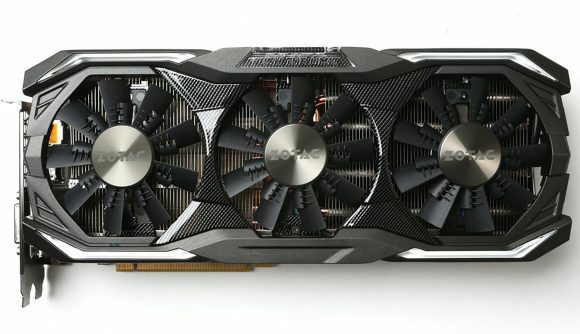 The Zotac graphics card was briefly listed as a ‘GTX 1070 AMP Extreme GDDR5X’, although has been swiftly removed. The card featured clockspeeds identical to that of the original AMP Edition for both GPU and memory, yet the GDDR5 AMP Extreme is clocked slightly higher. Its GDDR5X memory was clocked at just 8GHz, despite the potential for running at higher speeds. The listing, spotted over at TechPowerUp, may have been incomplete, and was surely posted by mistake. If we can infer anything from it, however, it’s that Nvidia and its AIB partners are intending to ship GDDR5X seemingly as a matter of course this late in the game. That downclocked GDDR5X memory won’t be all that decisive when it comes to gaming performance out of the box. But there’s assumedly greater overclocking performance to be gained from the switch out – likely equating to minor fps gains. Nvidia has had to halt shipments of its mainstream cards for the next quarter in an effort to move excess stock left behind from the cryptocurrency mining boom. This was widely assumed to apply to GTX 1060 inventory – it being the most popular selling card – while the high-end cards, according to Nvidia, had already “largely sold through” ahead of the RTX 2080 and RTX 2080 Ti launches. But maybe Nvidia still has a few GTX 1070’s floating around, despite its replacement, the RTX 2070, already out on the market. There are also rumblings on the web that the move signals that Nvidia is trying to shift excess GDDR5X memory. Unless it utilises GDDR5X for entry-level Turing cards – production is no longer limited to Micron alone due to a JEDEC industry standard – any and all leftover memory chips will be made almost entirely redundant for the bulk of the graphics card market in the coming few quarters.